Help support our mission of preserving lighthouses and their history, by becoming a card-carrying member of the U.S. Lighthouse Society today. 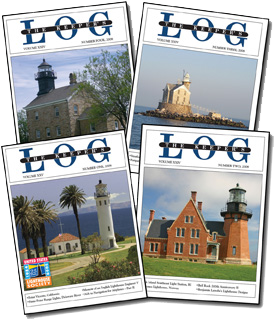 Not only will you start receiving our quarterly magazine The Keeper's Log but you will also qualify to receive discounts for lighthouse cruises across the U.S. Visit our "Featured Cruises" page to see what discounts are avaiable. Visit our Membership Page and select your level of membership or give the Gift of Membership to someone special! Some of the big online stores like Amazon have programs to help benefit non-profits and charities. When you make a purchase using their promotion a portion of the sale will be given to support your chosen non-profit organization (like USLHS). It's an easy way to help support the US Lighthouse Society. 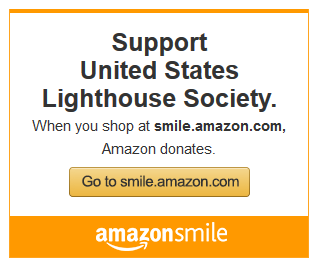 Support USLHS when you shop on Amazon.com! Visit our page on Amazon to learn more.